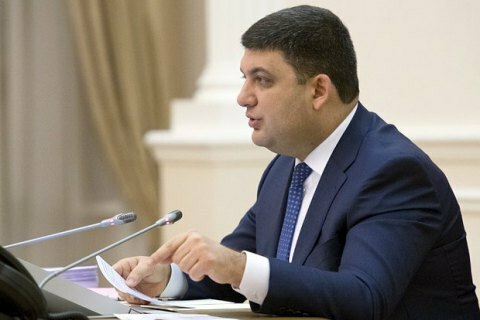 Prime Minister Volodymyr Groysman on Tuesday, 28 February lashed out at the party Self-Help as discussed the impact of the Donbas blockade on national industry with Ukrainian industrialists. "I am also against the trade on the blood. I have not yet seen any healthy person who would be for it but I am for Ukraine and Ukrainian people," he said. In his opinion, "the so-called blockade" organized and supported by the Self-Help has a negative impact on the state and its citizens and only plays into the hands of the enemy. "Some Self-Help politicians, without a hitch, echo Russian militants. It may be a coincidence - but I do not believe in such coincidences," he said. The organizers of the blockade of the railway linking the mainland Ukraine with the occupied territories said they pull out of the talks with Prime Minister Volodymyr Groysman. The blockade headquarters called on the patriots of Ukraine to render assistance to the participants of the blockade and stated plans to shortly expand the geography of the blockade to cut the remaining routes of the "trade on the blood". The headquarters said in a Facebook release that they "under any circumstances" would stop the blockade before the full implementation of the requirements of protesters, including "the release of prisoners and the prohibition of trade with the occupiers of Ukraine".